Front Wheel Travel 270 mm / 10.6 in. Rear Wheel Travel 245 mm / 9.65 in. Front Rim 3.5 in. x 17"
Rear Rim 4.5 in. x 17"
Castor 98 mm / 3.9 in. Length: 2155 mm / 84.8 in. Dry Weight 147 kg / 324 lbs. Wet Weight 159 kg / 351 lbs. Top Speed 170 km/h / 106 mph. BMW G 650 Xmoto – enjoying fast bends on the road Small 17-inch wheels, the aluminium handlebar fastened in position by extra-short mounting clamps, the front wheel cover complete with its colour-highlighted tube protectors fitted close to the tyre, as well as the headlight fairing finished in twin-tone Graphitane metallic matt and Red clearly change the proportions of this special model, giving the G 650 Xmoto an even more muscular and athletic look, even though many of the fairing components as well as the asymmetrically designed headlight are the same as on the Hard Enduro. 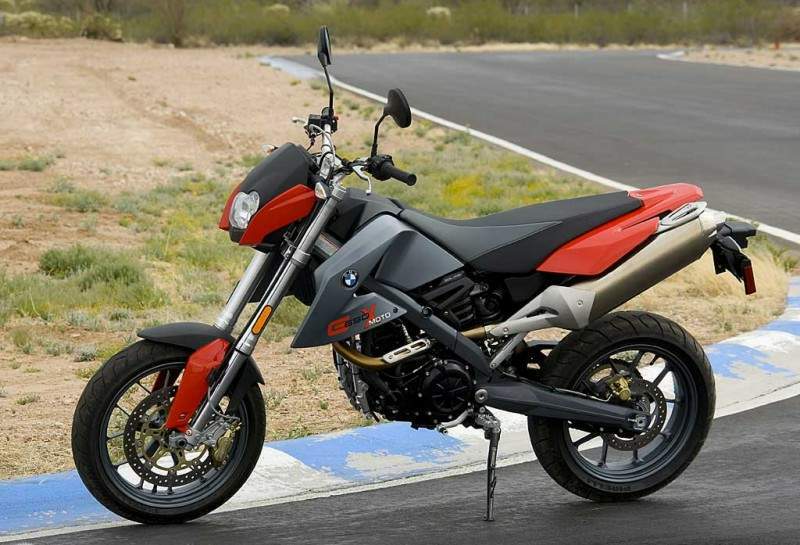 The Street Moto nevertheless stands out significantly from its “sister models” in terms of its suspension set-up, with the smaller cast-aluminium 17-inch wheels running on sports tyres with very good grip ensuring optimised handling in every respect. Measuring 120/70 at the front and 160/60 at the rear, the tyres reflect the muscular look and character of the machine, allowing use of the latest sports tyres on the rims measuring 3.5 and, respectively, 4.5 inches in width. 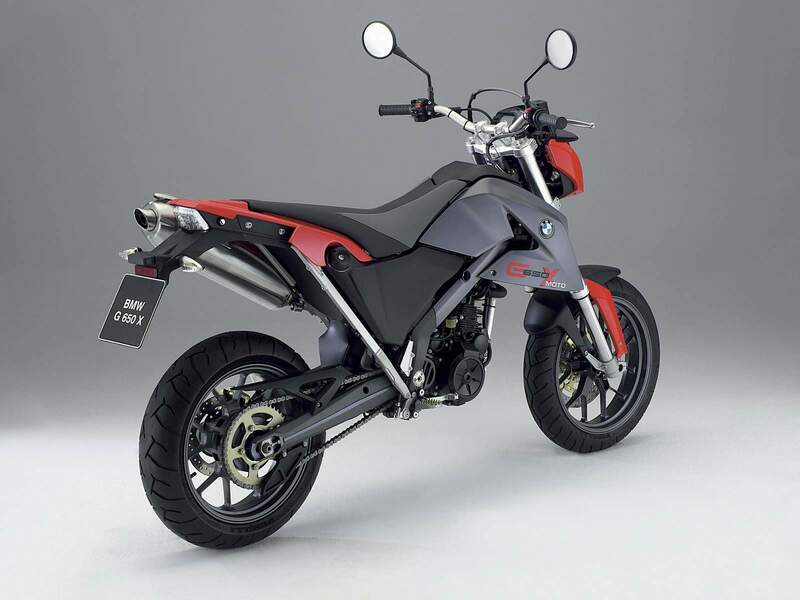 Apart from lower gyro-forces on the front wheel, the shorter camber also enhances the motorcycle’s handling and agility on the road. The forward-leaning seating position also helps to make long and winding bends as well as serpentines a truly outstanding pleasure on two wheels, optimum directional stability on straight passages in between again leaving nothing to be desired. 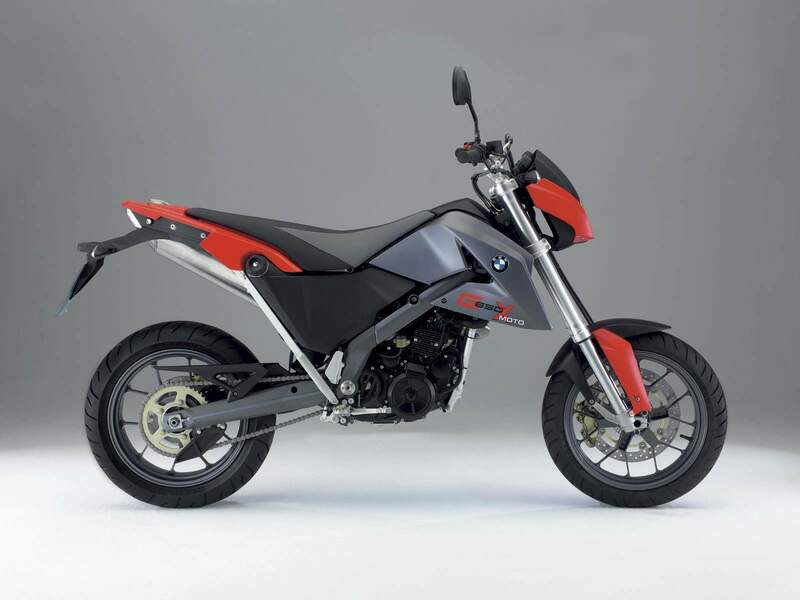 One of the improvements made to optimise the motorcycle’s suspension geometry is the opening for the front axle moved further back, again in the interest of almost playful but nevertheless safe handling for significant benefits also in city traffic. 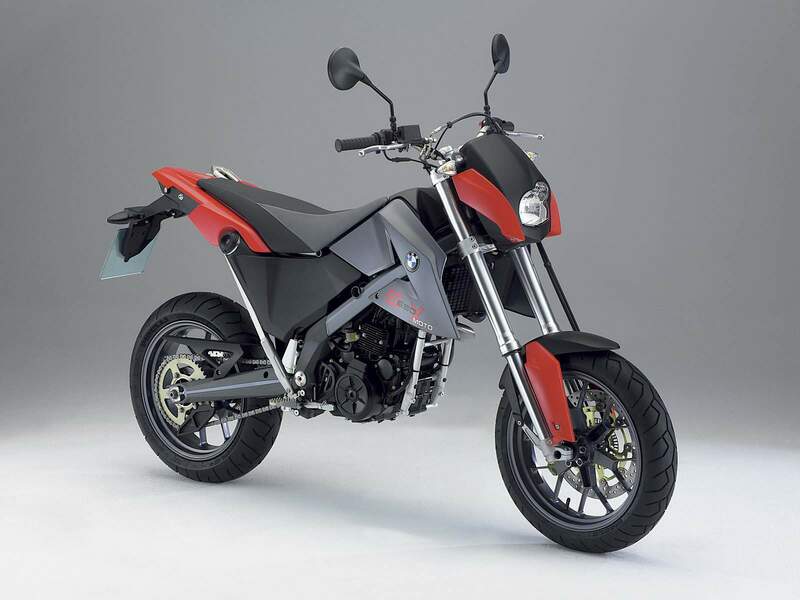 Both the springs and dampers are specifically tailored to the Street Moto with its particular requirements and riding qualities. While the upside-down telescopic fork offers 270 millimetres or 10.6´´ spring travel like on the Hard Enduro, the fork is even firmer and tauter all round in its inbound and rebound motion. Particularly the sporting rider will be happy to enjoy the sensitive, incremental adjustment of the damper in both directions, ensuring an individual, personalised set-up at all times. Rear-wheel suspension, in turn, is firmer and shorter, with spring travel at the rear of 245 millimetres or 9.65". The Street Moto boasts the most powerful brake system of all models in the G 650 X line-up: At the front a four-piston fixed calliper interacts with a 320-millimetre (12.60´´) brake disc in floating arrangement, interacting with high-grip radial tyres for exceptional deceleration benefiting in particular from the very high torsional stability of the USD telescopic fork with its main tubes measuring 45 millimetres or 1.77´´ in diameter. With its 240-millimetre (9.45´´) brake disc and floating-calliper configuration, the rear-wheel brake is the same as on the other two models. Final drive on the G 650 X Moto conceived for road use comes with a ratio of 16 : 47 teeth, that is somewhat “longer” than on the Enduro version.